Badsey-Ellis, Antony. Underground Heritage. Capital Transport. 2012. ISBN 978-1-85414-360-0. Barman, Christian. The Man Who Built London Transport: A Biography of Frank Pick. David & Charles. 1979. ISBN 0-7153-7753-1. Day, John R; Reed, John. The Story of London's Underground. Capital Transport. 2010 . ISBN 978-1-85414-341-9. Harris, Cyril M. What's in a Name?. Capital History. 2006 . ISBN 1-85414-241-0. Jackson, Alan A. The Wimbledon & Sutton Railway – A late arrival on the South London suburban scene (PDF). The Railway Magazine. December 1966: 675–680 [2 November 2014]. Morden Station Planning Brief (PDF). 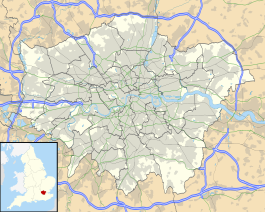 London Borough of Merton. March 2013 [2 November 2014]. （原始内容 (PDF)存档于2014年11月2日）. Martin, Andrew. Underground Overground. Profile Books. 2013 . ISBN 978-1-84668-478-4. Rose, Douglas. The London Underground, A Diagrammatic History. Douglas Rose/Capital Transport. 1999 . ISBN 1-85414-219-4. Wolmar, Christian. The Subterranean Railway: How the London Underground Was Built and How It Changed the City Forever. Atlantic Books. 2005 . ISBN 1-84354-023-1.